The Third edition of the World Picnic event organized by the Foreign Investors Council will take place on June 24, 2018 (Sunday), in the Skopje City Park, behind the Goce Delcev monument, starting at 12 hrs. We invite all companies-members of the Foreign Investors Council to take part in this event, by submiting their application to Vlatko Stojanovski, by e-mail: vlatko@mchamber.mk no later than May 18, 2018. On May 21st, 2017, the World day of cultural diversities, in the City Park in Skopje, the Economic Chamber of Macedonia and the Foreign Investors Council organized a public humanitarian event with authentic culinary specialties from different countries. 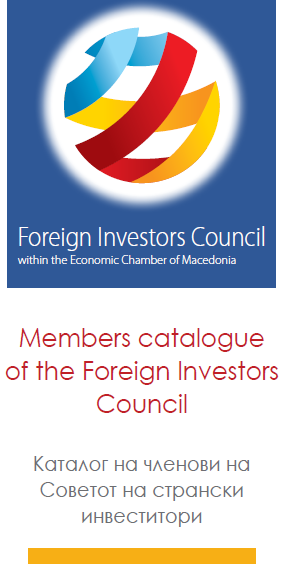 After the great success of the last year’s edition of the World Picnic, the Economic Chamber of Macedonia and the Foreign Investors Council continued with the idea to promote the culture of the foreign companies- members of the Foreign Investors Council via their traditional food.